For a mother her family is everything, and now she can keep her family near her with our beautiful Cut Family Necklace with birthstones. 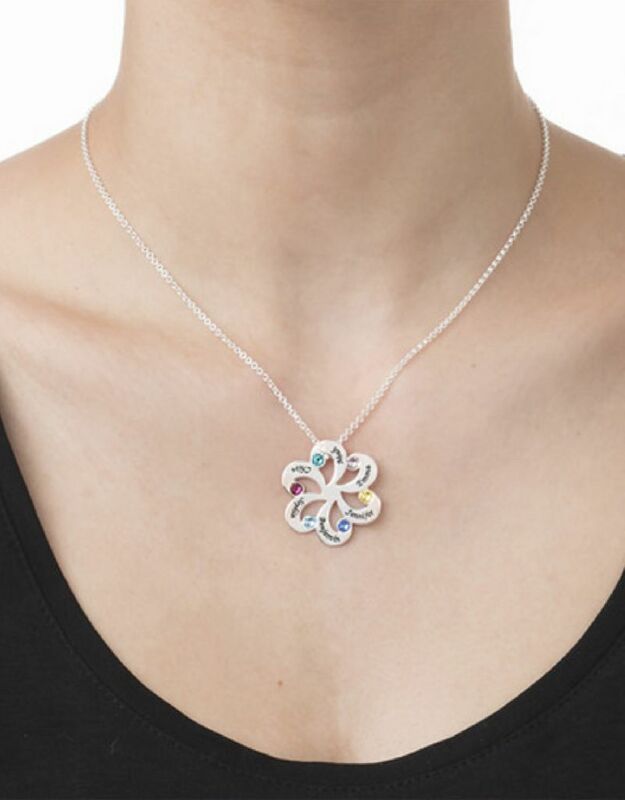 This flower-shaped birthstone necklace can be 6 names and birthstones 6 engrave. ♥ The names you fill in from top to bottom (ie first name and first stone is the top). 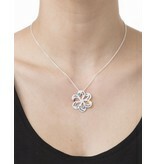 ♥ This necklace is made of through-and-through 925 Silver. ♥ Choose the stone matches the month of birth (or any color that you like). ♥ 9 Maximum characters per name. ♥ The chain is wrapped in a luxury box -direct ready for gift giving.